MONROVIA, Liberia–It’s 9:30 am on a Monday and our second day in Liberia. 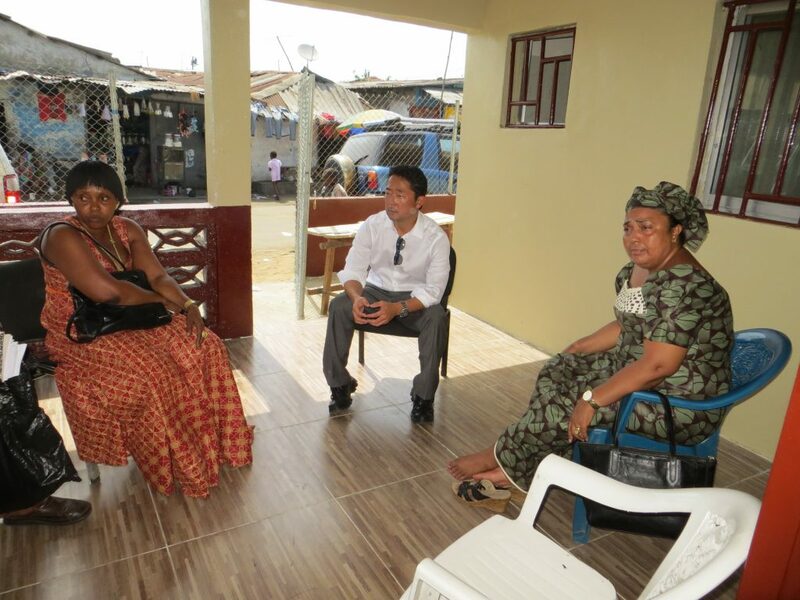 We are here on a week-long mission to advise the Government of Liberia on low-income housing construction. Cojolo, our tall guide/guard and the Protocol Officer at the Ministry of Finance, waited for us for more than 30 minutes now in the lobby. I was concerned about his mood. He greeted me with a straight face and pointed at his watch. I swiftly ran into the breakfast room to fetch a cup of coffee. 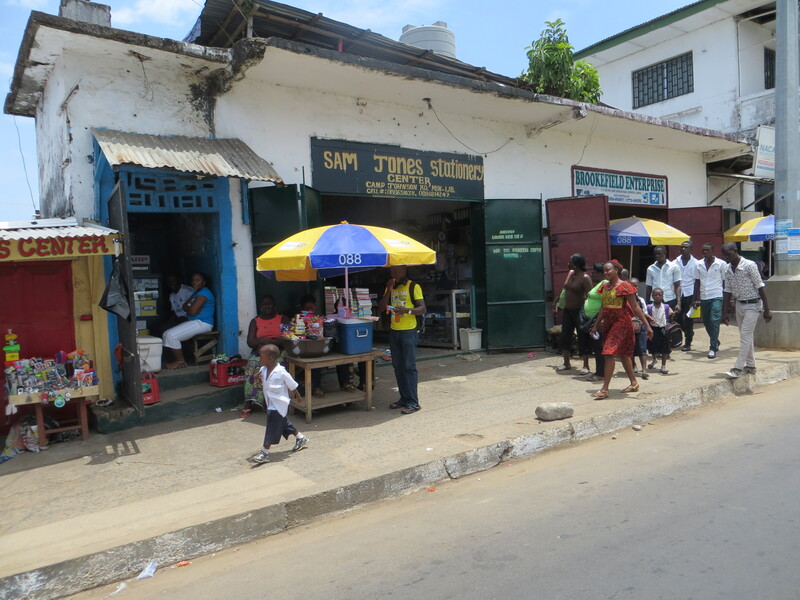 Liberians go about their day in Monrovia. We were scheduled to meet the National Housing Authority, which was located in the heart of the business district. We emerged from the van into a street full of small vendors selling everything from fruits to shampoos. It reminded me exactly of the colorful markets in Haiti. As we stepped into the Managing Director’s office, we were greeted by Mr. Samuel Thompson and his team. The office was clean, but not well lit. The room was full of staff for this meeting and we all struggled to find a suitable place to sit. Mr. Thompson sported a long, sky-blue embroidered African shirt. It fits so nice to his slim body. I found out later that it was his birthday and this was the reason he wore this particular traditional African wear. He has a gentle smile, yet an authoritarian way about him, too. With or without the suit, his aura certainly made a long-lasting impression on me. 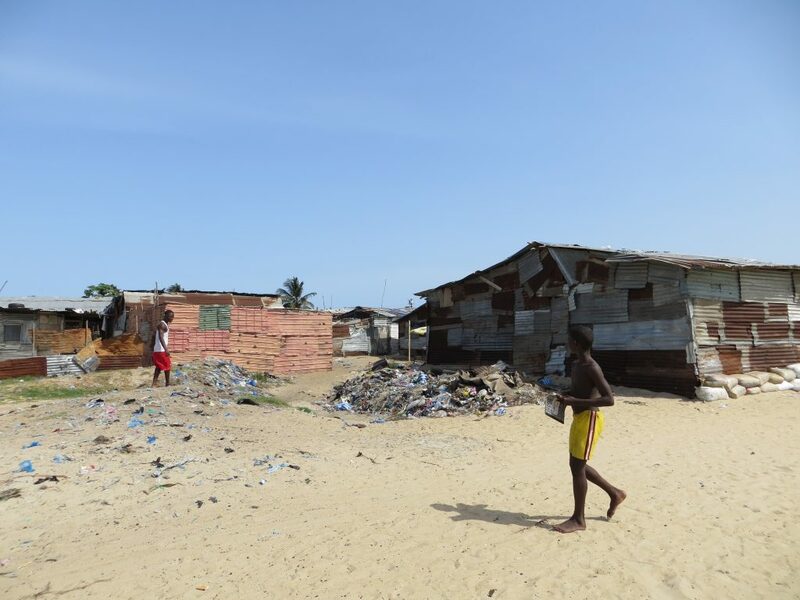 Makeshift houses and no enforced building code are largely the standard in Liberia. 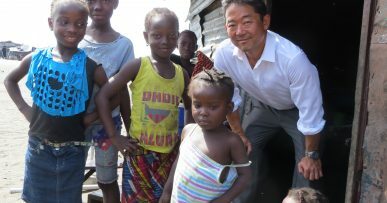 I especially respected his passion for improving the housing situation in Liberia, particularly for the poor. It was clear that he wanted to make changes in Liberian people’s living conditions. We discussed a range of issues, from the heavy reliance on importing construction material that pushed up construction costs to the serious gap in technical skills due to the long years of debilitating civil war; the use, or under-utilization, of land, zoning and the lack of land security and proper shelter for low-to-middle income Liberians. 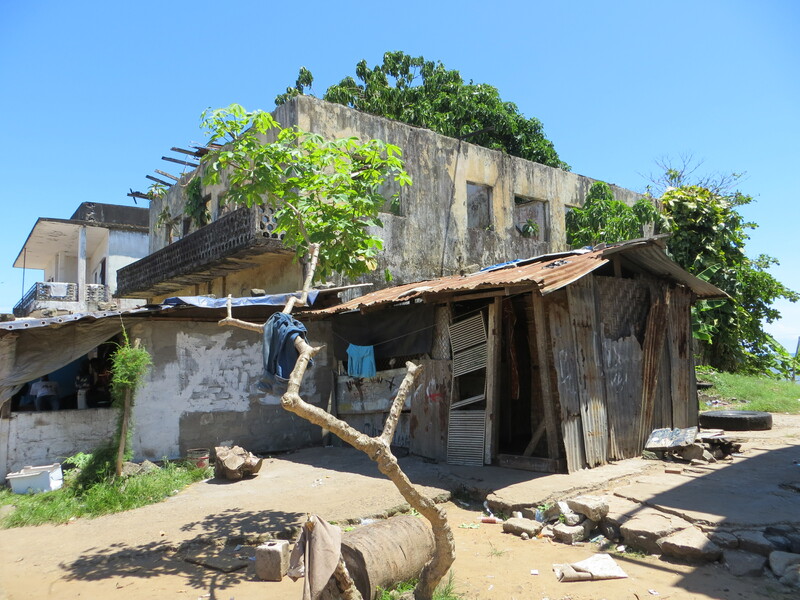 Houses like this are the norm in much of Liberia. In the midst of the meeting, there was a knock on the door and three men entered. Mr. Thompson and his team seemed baffled. I quickly said they were with us; it was Hun-Bu Tulay, Colonel Bai Moore and Kabba Manjoe – relatives of Bendu Hunter. 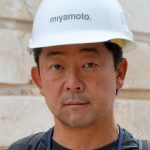 I had met Bendu Hunter, an influential Liberian in U.S. diaspora circles, in early 2012 at a fundraising event for Miyamoto’s nonprofit arm, Miyamoto Relief. Bendu Hunter was a driving force behind getting us to Liberia. She was passionate about the living conditions of Liberians – just like Samuel. Late last night, three of her relatives had arrived at the Mamba Point Hotel, where we were staying, to welcome us to Liberia and assure me that if we had any questions or concerns, they would be happy to support us. In the meeting with the National Housing Authority and the Hunter family, it became clear to us that a public-private partnership approach is critical to address the housing crisis in Liberia, but that we would need to explore market-based solutions for implementing housing development programs for the poor. Why? 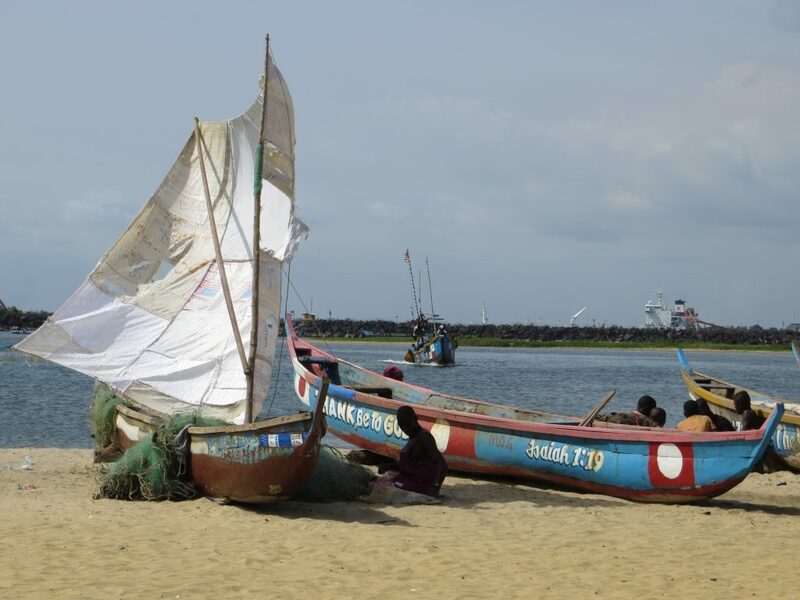 The Agenda for Transformation (AfT) is Liberia’s five-year poverty reduction and inclusive growth strategy, which charts out the necessary leaps Liberia will need to take to achieve its national vision: to become a middle-income country by 2030. Both public-sector development and shelter are included in the goals set out in the AfT. 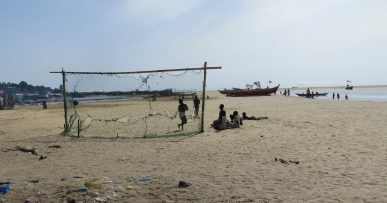 Local fishing sustains many local economies in Liberia. 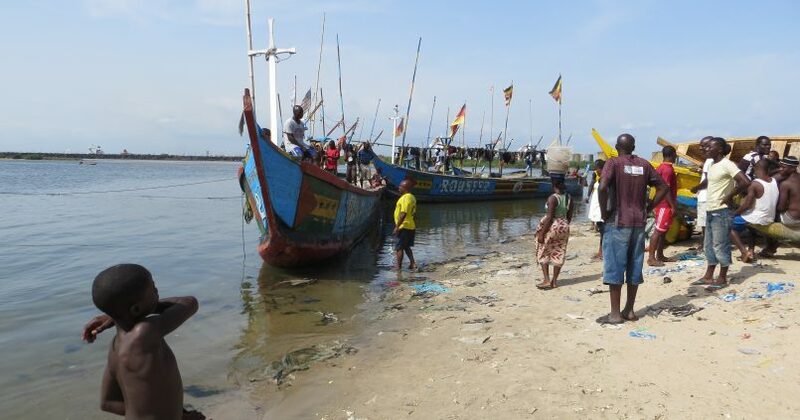 However, the Government of Liberia has been asked to make some tough choices in pursuing its development strategy – and decided to prioritize the infrastructural development of roads, ports and energy. Little to no resources are available to provide direct budget support for private housing… despite the dire need. Another hot topic during our meeting was the township of West Point. 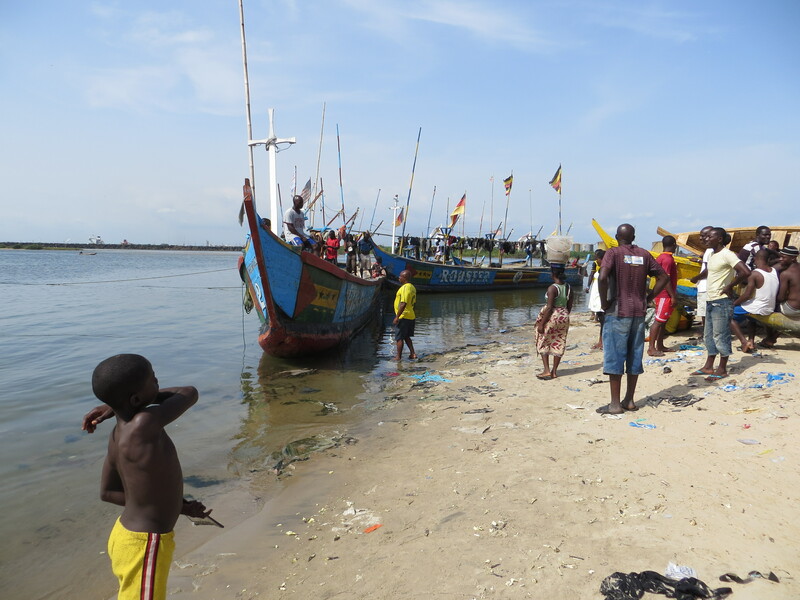 West Point was situated right on the beachfront of the capital of Monrovia. The township people lived mostly in temporary structures equals to sheet metal shacks and are squatting on government land. We were told that there was an attempt a few years back to relocate the community of West Point, which ended in political unrest. West Point also was known to be a political hotbed and the first community we were to visit that afternoon to explore possible housing solutions. Most of the one-story shacks in West Point were made of zinc metal sheet with plenty of holes and rust; other structures were made out of shoddy concrete blocks. The Liberian thick humid air has an oceanic salty taste. I was enjoying the wind blowing against my face until Cojolo requested I roll up the car window for security reasons. The car windows were tinted black. We entered the township of West Point. Most of the one-story shacks were made of zinc metal sheet with plenty of holes and rust; other structures were made out of poorly made concrete blocks. It was hot, noisy, dusty but lively here in West Point. Women sold dried fish on the side of the street along with some vegetables and soups. Florence Brandy, the Superintendent of Montserrado County, and Miatta Flowers, the Commissioner of the Township of West Point, on the porch of a house in West Point. On the porch of the Community Center, we met with Florence Brandy, the Superintendent of Montserrado County, to which Monrovia and West Point belonged, as well as Miatta Flowers, the Commissioner of the Township of West Point, other government officials and local representatives. The superintendent and commissioner of West Point were both powerful women who showed great concern for the people living in West Point and a burning desire to see the people’s living standards improve. Their attitude, knowledge and sincere care for people made them instantly respected by everyone we came across. We asked them dozens of questions — hungry for firsthand knowledge. Because the land is owned by the government, those who wish to build – with zinc sheet, scrap or concrete block – needed to apply for a building permit. Upon receipt they were advised to build temporary structures, as they could be asked to relocate at any point in time. Fishing is the life-blood of the West Point district. 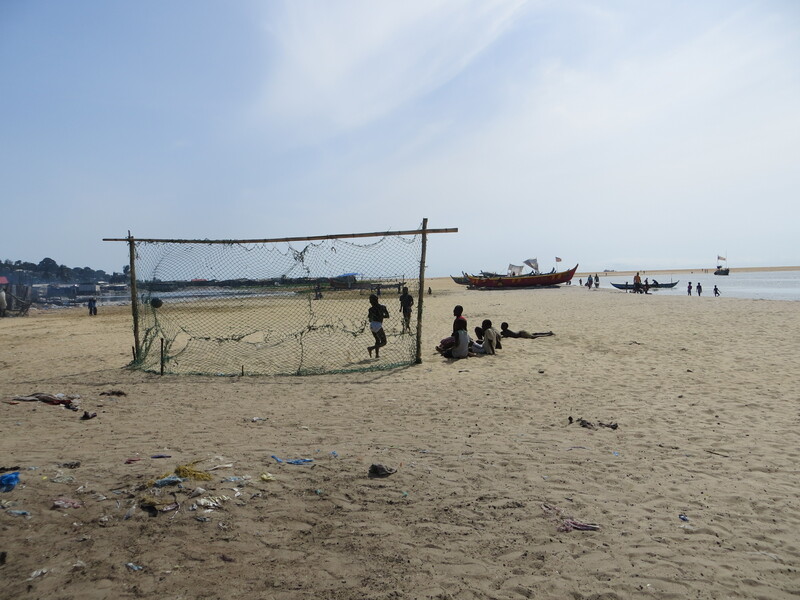 Despite the insecurity, the people of West Point were home here and its fishing industry is thriving. 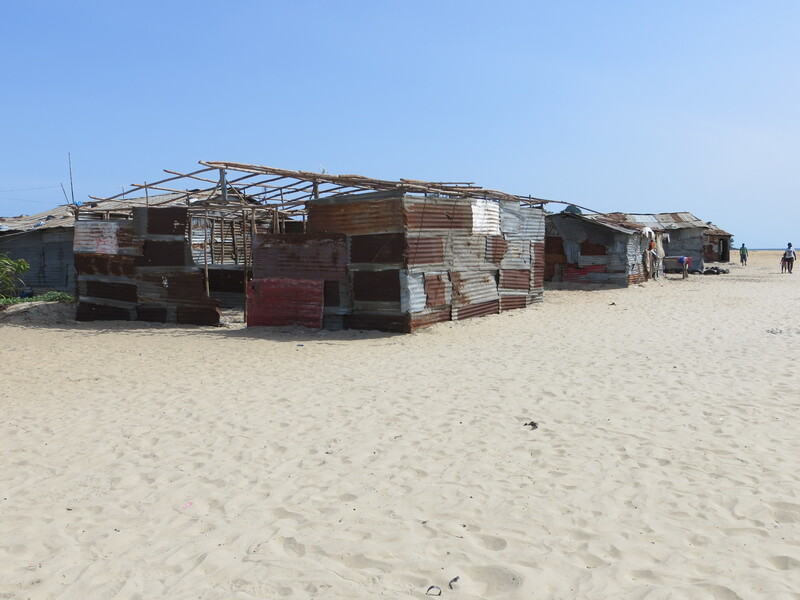 The closely compacted zinc shacks stretched from solid land onto the honey-comb beach, where fishermen arrived back from sea with fresh fish. The fish was sold then and there or dried nearby to be sold at a whole-sale price on the market. It was a perfect ecosystem.